Food Supplement allows GLYCABIANE help regulate blood sugar levels in addition to any medical treatment. Our organization has a vital need for glucose involved in energy production: it is regulated by insulin, a hormone produced by the pancreas. Some factors that disrupt blood sugar control and increases. 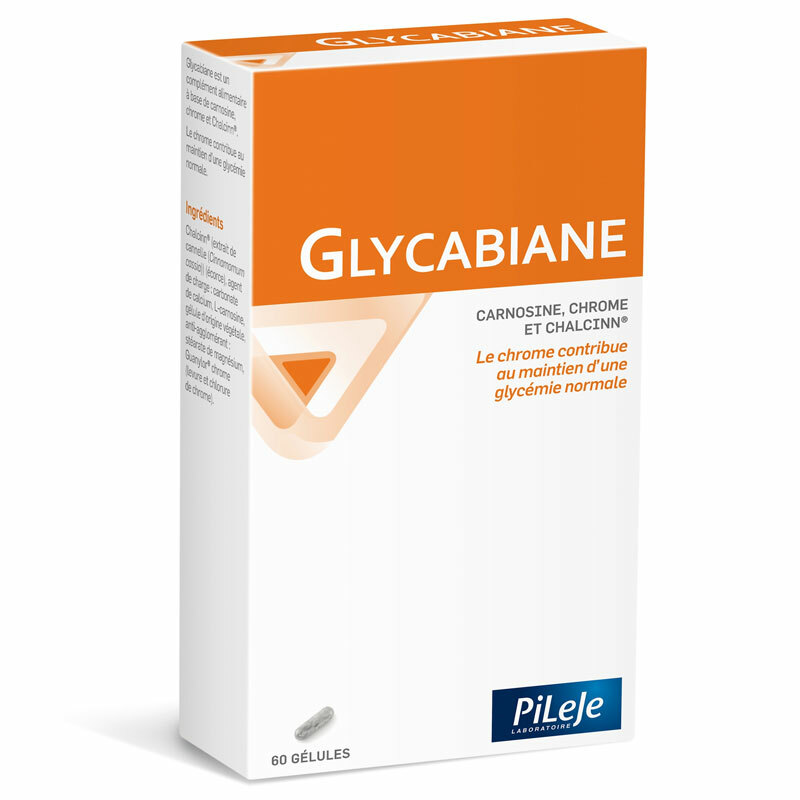 To help you maintain proper blood glucose Laboratories PILEJE offer GLYCABIANE. ChalCinn ® is the result of research PILEJE. This is an extract of cinnamon that will act on glucose optimizing glucose response to insulin. Carnosine, an antioxidant substance that protects proteins (glycathion) enabling them to perform their duties properly. Chromium is an essential substance in the metabolism of glucose and its assimilation by the body. Cinnamon contains many antioxidants and substances involved in the regulation of glucose metabolism compounds. Certain assets of cinnamon are indeed able to significantly reduce the concentration of circulating glucose. Chalcinn ® is an active cinnamon extract, derived from the Pileje search, it provides an optimal amount of assets micronutrients on blood sugar. In some situations, related to hereditary factors, aging but also to poor lifestyle and dietary conditions (excess calories, physical inactivity), malfunction response and insulin production can occur leading to an increase in blood sugar. This elevation in blood glucose is associated with increased stress and a protein modification (glycation). In this context, a micronutrient support may be beneficial in addition to conventional treatment. With the addition GLYCABIANE your blood sugar is controlled. During one month, take 2 capsules per day. Do not exceed the daily dose indiquée.A keep out of reach of children. ChalCinn ® (extract of Cinnamomum cassia rich OPC-A), anti-caking agents: calcium carbonate, silicon dioxide, magnesium silicate, magnesium stearate, L-carnosine, capsule of plant origin, Guanylor ® Chrome.